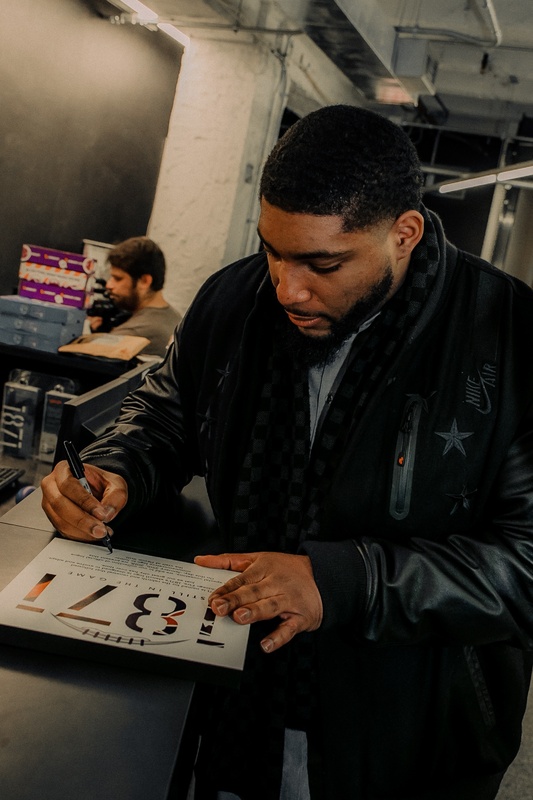 Formerly a defensive end for the Cincinnati Bengals, NFL star Devon Still was recovering from multiple injuries when his daughter Leah was diagnosed with a rare pediatric cancer. Despite mounting odds, Still returned to the football field wearing Leah's message of hope during every game, inspiring millions around the world. 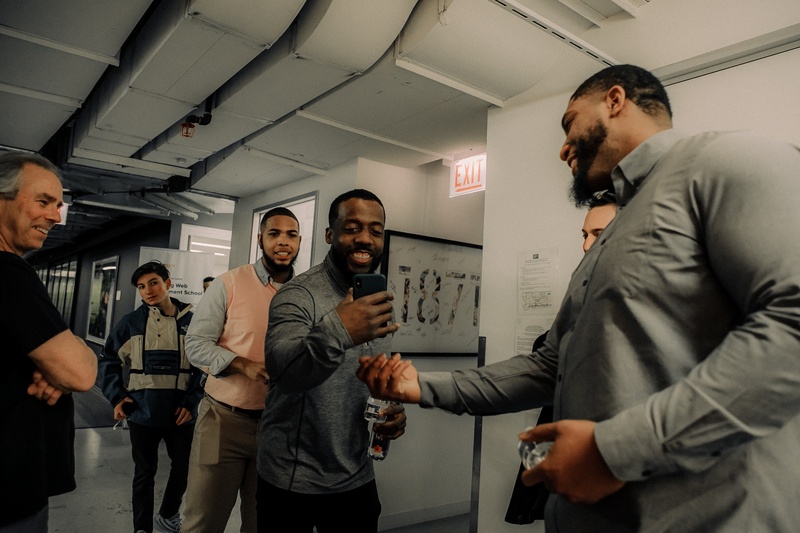 Still visited 1871 to share his journey of overcoming adversity, and the entrepreneurial lessons he's learned both on and off the field. 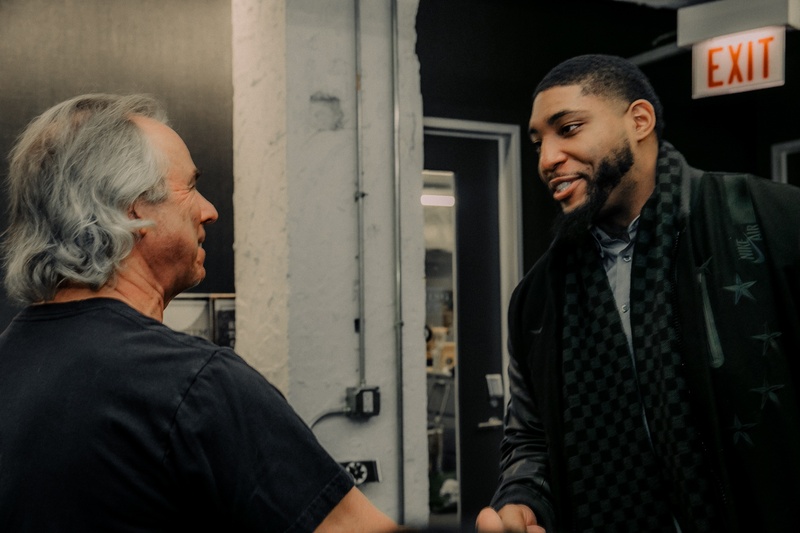 Devon Still meets 1871 CEO Howard A. Tullman. "You must step out of your comfort zone. Growth happens only at the end of discomfort." 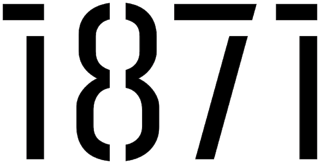 Still signs an 1871 commemorative logo, a design inspired by the Still Strong Foundation and Cincinnati Bengals. "Look at the person to your right, and to your left. Now forget about them. Too many people miss out on experiences and opportunities in their own lives because they're too worried about what the person sitting next to them thinks." 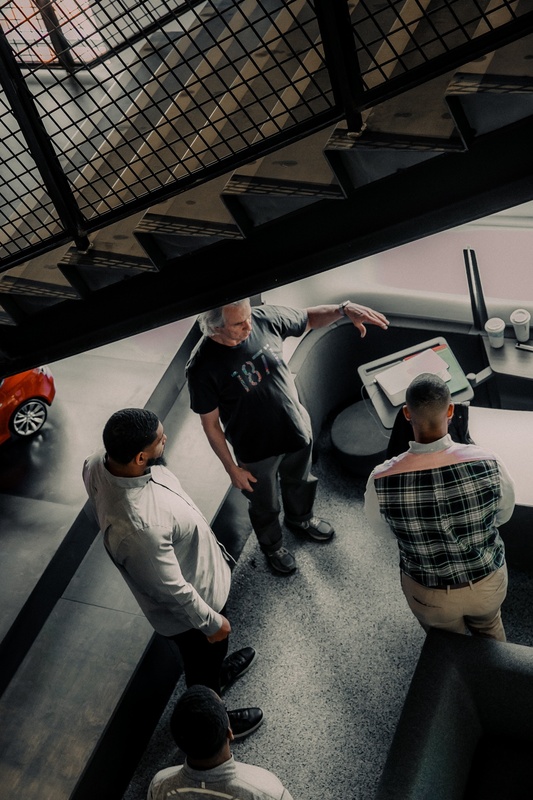 Still tours 1871, seeing first-hand the technologies that Chicago entrepreneurs are building. "Entrepreneurs are different. We see the same problems as everyone else, but we also see the solution. We don't wait for someone to come to solve the problem — we put on capes and save the day ourselves." Still discovers Thyng, an 1871 alumni company specializing in mobile augmented reality experiences. "Every play is not designed to score. The best opportunities do not always come with a paycheck." 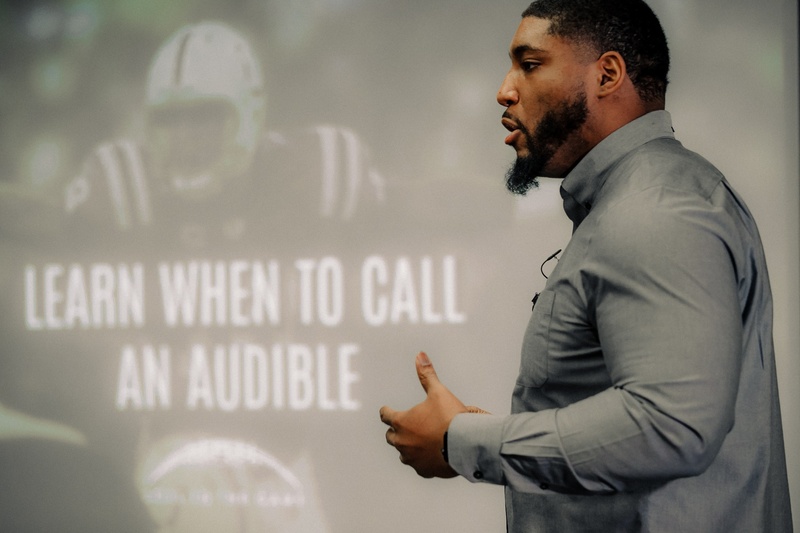 Still speaks with a room of 1871 members about his strategy for for overcoming adversity, and how entprenreuers can apply football tactics to real-life challenges. "Accept failure but never accept defeat. Your past failures don't represent who you are today." Still shares the incredible story of his young daughter Leah who was diagnosed with cancer and who found her way back to victory. 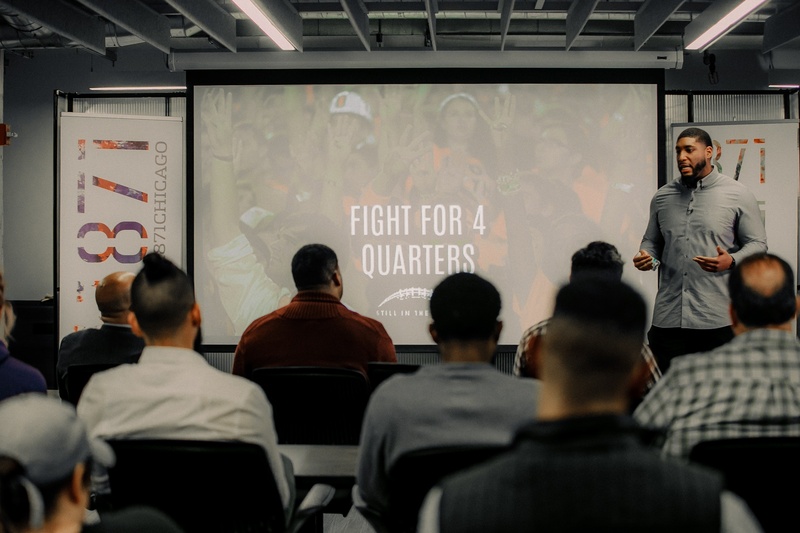 He challenged the room to "fight for 4 quarters" – to never accept defeat while time was left on the clock. "If you still have time left on the clock, then you still have the opportunity to succeed. When my daughter was sick with cancer in the hospital, I told her: 'I know it hurts, and it's hard, and you want to give up, but you promised me you would fight for four quarters.' And she did. She kept fighting and didn't give up — and she emerged victorious." "It's all about perspective, and that's what I love about 1871. You can look at that year and think about all the pain it brought. Or you can look at that year and think about all the people who came together, when so many innovations were born." 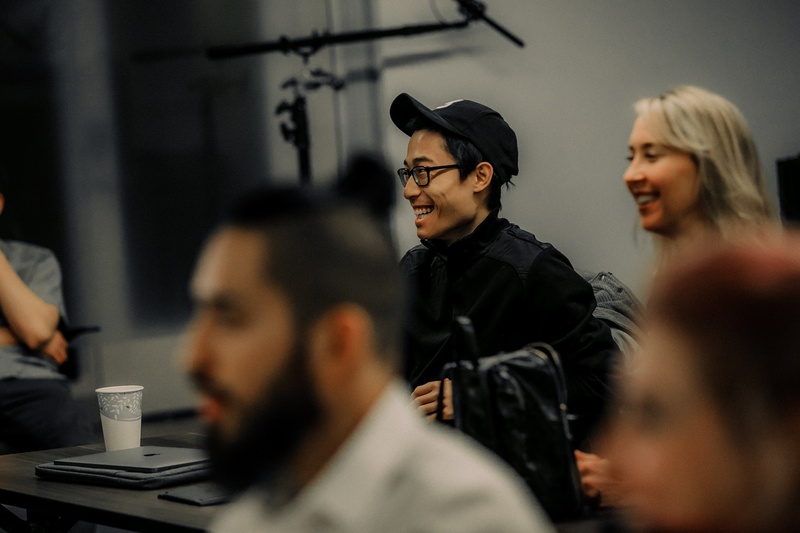 Through the Still Strong Foundation, Still's partnership with socially conscious organizations has raised more than $2 million and is influencing the global cancer conversation. 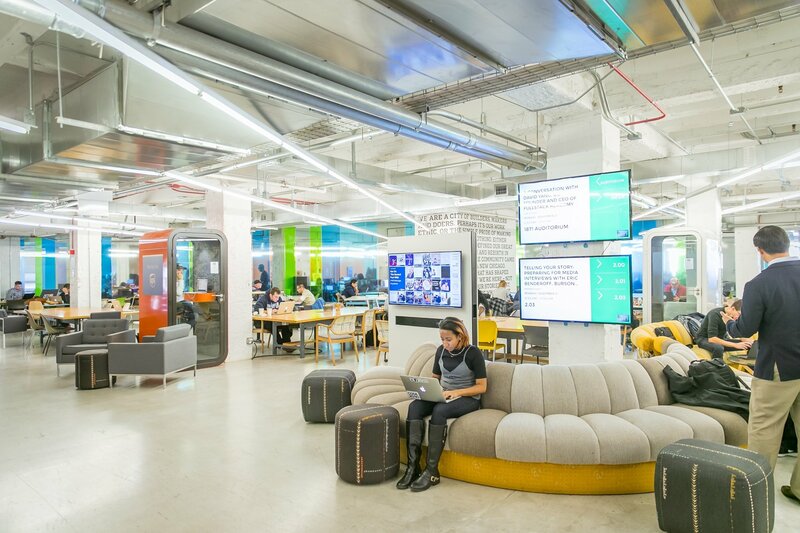 Interested in more happenings at 1871? Check out our Upcoming Events calendar.